These magical companions are the wardens of peaceful, primordial groves within the Emerald Dream. 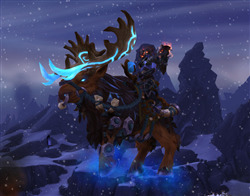 This moose is obtained by killing Heroic or Mythic Archimonde (for a limited time only!). The first time you kill him, he will drop Remnant of Chaos which will send you to Moonglade for a short quest chain that ultimately results in your sweet new ride. This item drops for everyone in the raid (who hasn't already gotten it), so everyone can get their moose with just one kill. 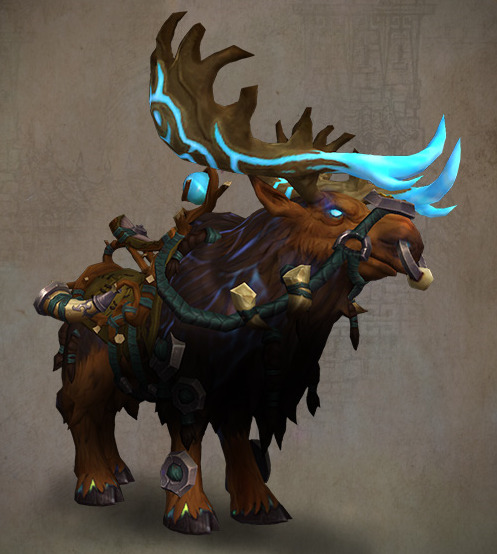 This is the magical kind of moose that can fly. It does not grow wings, but upon jumping will take flight. 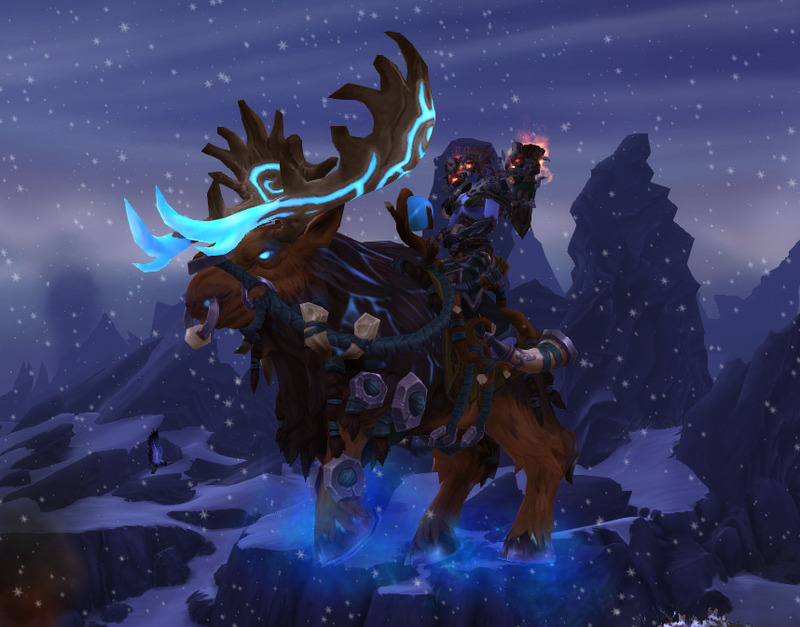 In the air, his hooves begin oozing what looks like blue fairy dust (probably of Canadian origin), so that is clearly the science behind moose flight. 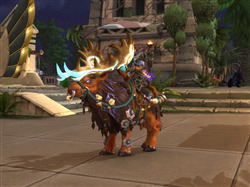 I loved that moose like no other moose before it.